Looking for administrative assistants in Waterford Lakes! 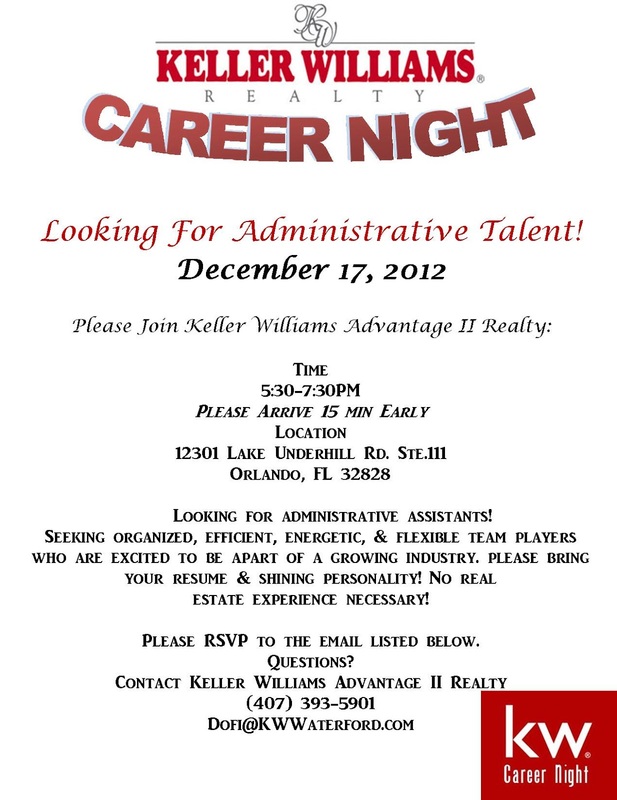 Bring your resume, dress to impress, and learn about real estate! Click on KWWF to connect with us!